Every day, all over the world, people are forced to make the most difficult decision of their lives – to leave their homes in search of safety someplace else. They are forced to flee their homeland to escape persecution and torture or other severe human rights abuses, armed conflict and horrific violence. They might have been targeted just because of who they are or what they do – for example, for their ethnicity, religion, sexuality, or political opinions. Often, they are permanently displaced and are never able to return home. We usually refer to people who are in this situation as refugees or asylum-seekers. All of them deserve to have their human rights respected, and that’s what Amnesty International helps ensure. Refugees are people forced to flee their countries and their homes because they fear for their lives or persecution based on who they are or what they believe. Right now, we’re in the middle of the largest global refugee crisis in recorded history. Tens of millions of people have been forced from their homes, from Africa to the Middle East, the Americas and Asia. All around the world, people are forced from their homes. Among them are particularly at-risk cases of torture survivors, people with severe medical conditions, orphaned children, and LGBTI individuals – many of these people, as well as others, have no option but to seek out resettlement in a third country. This is a truly global crisis. And it requires the global community, working together, to solve. In the face of this humanitarian crisis, governments around the world are not doing enough to help. In the U.S., the Trump administration has implemented successive refugee bans and various administrative policies that are shutting the door on refugees. Layers of additional security screening measures and onerous new biographical data collection have severely restricted refugee admissions: a death by a thousand cuts. These bans and policies disproportionately affect Muslim refugees and are effectively dismantling the U.S. Refugee Admissions Program. But the U.S. is also restricting the number of refugees who can resettle here. Every year, the president determines the number of refugees that can be admitted for the coming fiscal year. In 2018, President Trump set that number at 45,000 — the lowest ceiling since the U.S. refugee program was established in 1980. At the current rate, the U.S. will admit fewer than 25,000 refugees in 2018, another new record — the lowest number of refuges resettled since the modern U.S. refugee program began. This is after the Trump administration slashed the number of refugees allowed into the country by nearly half in 2017. This is a political crisis created by bad policies, and the attacks on resettlement harm all refugees. The U.S. is turning its back on some of the world’s most vulnerable, setting an example for other nations to follow. Decades ago, countries of the world agreed to a set of basic principle for how refugees would be treated when they go to another country seeking asylum, or emergency protection from violence or persecution. The U.S. and other countries agreed to treat people with compassion and to respect their human rights while their claims are considered. The Universal Declaration of Human Rights (Article 14) states that everyone has the right to seek and enjoy asylum from persecution in other countries. The 1951 UN Refugee Convention and 1967 Protocol protects refugees from being returned to countries where they risk being persecuted and their right to ask for asylum, regardless of how and where they arrive in a country. Refugees and asylum-seekers have the same rights as all other human beings. The U.S. has not been living up to this commitment. Every year, tens of thousands of people come to the U.S. and ask for asylum. They are refugees in search of protection. Many come to the U.S. southern border. Some people seeking asylum at the U.S. southern border are turned away or deported without having their claims heard in an immigration court – and forced to return to countries where they may be tortured, imprisoned, or even killed. Others are sometimes held in detention without easy access to attorneys or charged with crimes for entering the country irregularly to ask for asylum. Children might be jailed with their parents or forcibly separated from their families. Through executive orders and successive policies since 2017, the Trump administration is working to detain keep all asylum-seekers who come to the U.S. southern border while their claims are adjudicated. This can take weeks, months, even years. Amnesty International has helped protect the human rights of refugees and asylum-seekers for decades – documenting the conditions they’re fleeing, ensuring that individual people are protected, and changing the policies so that more people can rebuild their lives in safety. We conduct research that shines a light on why people are fleeing and what they experience trying to find safety. This research helps lawyers win individual cases and helps spark legislative reform. Read our groundbreaking reports on refugees and asylum-seekers. We campaign on behalf of individuals and asylum-seekers worldwide to secure their safety and freedom. Take action in urgent actions today. Total number of refugees in the world. Proportion of refugees worldwide who are under the age of 18. Number of refugees who need to be resettled because they can’t stay where they are and they can’t return home. Less than 1% of these refugees will ever find a new home anywhere in the world. Number of refugees the U.S. may admit in 2018, as determined by President Trump. More than halfway through the year, the U.S. is on track to admit only half that number. Number of people who signed Amnesty International’s petition to the U.N. demanding that countries do more to help refugees. Alejandra fought for transgender human rights for more than a decade in El Salvador. She was forced to flee after repeated attacks and extortion by a criminal gang, as well as abuses by the Salvadoran military. Both the gang and military personnel sexually assaulted her because of her transgender identity. Alejandra requested asylum at the U.S.-Mexico border in November 2017. But instead of offering her safety and a chance to rebuild her life in freedom, the U.S. government is detaining her in a private prison with inadequate and unresponsive health care. She should be free – not behind bars. Alejandra’s situation is not unique; there are many more trans people seeking asylum in the U.S. stuck waiting for months in detention centers where they are at risk of ill-treatment because of their gender identity, medical needs, or the trauma they have endured. It is cruel and unnecessary for the U.S. government to detain people fleeing here in search of safety from violence and persecution. Sam is an Iraqi refugee stranded in Cairo, Egypt, after the U.S. government failed to keep its promise to resettle him. The U.S. accepted him for resettlement and he prepared to travel to the U.S. in October 2017. When the latest refugee ban went into effect, he was left in jeopardy because of the Administration’s discriminatory policies targeting refugees. He has a sponsor in the United States waiting to give him a home, but the U.S. won’t let him in. Sam should be able to enjoy his human rights as a refugee, and shouldn’t fear for his safety because the United States failed to live up to its promise to resettle him. The U.S. accepted him for resettlement – and now it’s abandoned him, leaving his life in danger. Astrid and her father Arturo are Indigenous K’iche who fled from Guatemala, where discrimination and violence against this community is institutionalized and widespread. They arrived at the U.S. border in 2015 and were put in detention. They were released the next day and began rebuilding their lives in Pennsylvania. Three years later, armed government agents ripped them from their home in the middle of the night, without warning or warrant, and locked them up in immigration detention. 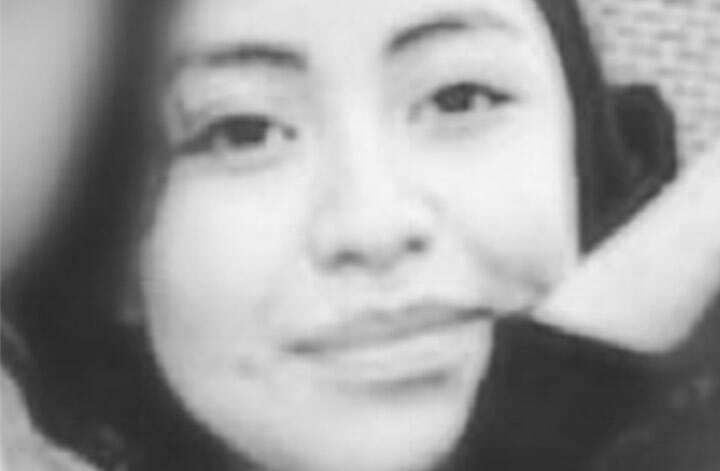 Astrid turned 15-years-old behind bars. She missed her quinceañera celebration, which she had been eagerly planning. Her birthday wish was to be freed from detention with her father and return to middle school. 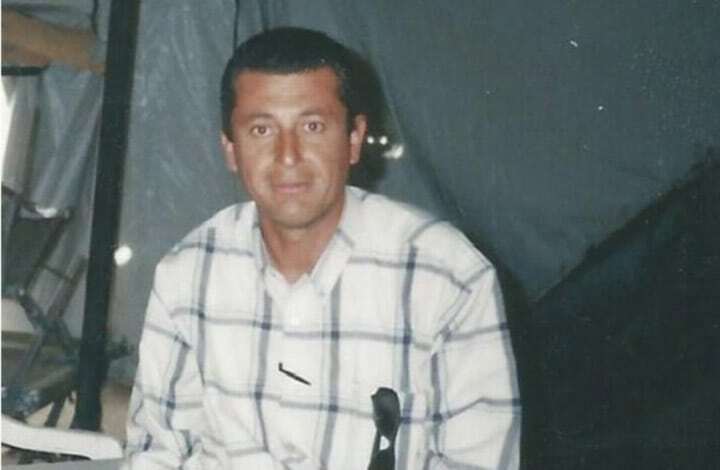 Despite having applied for asylum, Arturo and his daughter were detained for over a month. Our supporters all around the world heard their story, and quickly mobilized to make Astrid’s wish come true. After more than 1,600 phone calls and 78,000 signed petitions to the government, Astrid and Arturo were released from Berks, and she was able to return to school where she is in the eighth-grade. In 2017, four young children and mothers seeking asylum in the U.S. had spent nearly two years jailed in the Berks family detention center. Each family fled traumatic and life-threatening events, including kidnapping threats and severe sexual violence, in their home countries of Honduras and El Salvador. Despite reporting declining physical and medical health, they were imprisoned for almost 700 days. 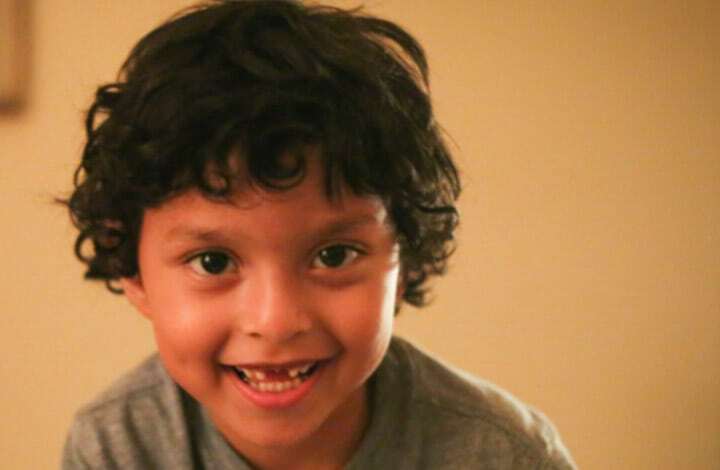 Three-year-old Josue suffered from severe allergies, and learned to walk and talk behind bars. Others were diagnosed with post-traumatic stress disorder and depression. After Amnesty International launched a campaign to get these families out, activists all over the world took action and in August, these children and mothers were finally freed. But the battle doesn’t end here. No child should grow up behind bars. The government is trying to put these families back in jail, and new families continue to be locked up every day at Berks and other detention sites. Family detention is inhumane and undermines our country’s long history as a beacon of hope for people seeking safety. Visit our resolutions page here and learn which refugee resolutions are in progress and being passed across the country.